The Subaru Forester crossover SUV is a tall wagon with standard all-wheel drive. The middle child in the Subaru lineup, it's also the automaker's most practical vehicle, with lots of room and a long-lived reputation for durability overshadowing things like styling and luxury touches. Slotted between the smaller XV Crosstrek hatchback and the bigger Outback wagon, the Forester sits in the compact class along with vehicles such as the Chevrolet Equinox, Ford Escape, Honda CR-V, and Toyota RAV4, among others. The Car Connection named the latest Subaru Forester our Best Car To Buy 2019. 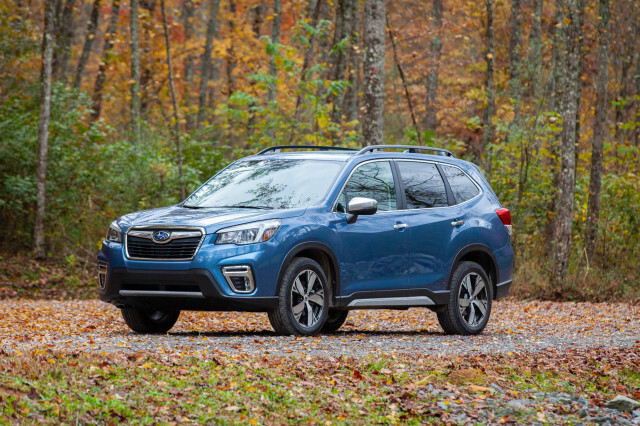 Though it doesn't look much different from its predecessor, the 2019 Subaru Forester is a clean-sheet redesign that shares little in common with the outgoing model. Its boxy shape grows slightly, with about an extra inch of overall length dedicate primarily to improving rear-seat room. Under its hood, a 182-horsepower flat-4 roots power to all four wheels via a continuously variable transmission (CVT). The turbo option, long a Forester standby, was dropped. Inside, the Forester's upgraded interior boasts even better visibility than before and a big upgrade in materials. Standard Apple CarPlay and Android Auto are welcome additions. All models feature Subaru's EyeSight safety tech—automatic emergency braking, adaptive cruise control, and active lane control. Touring models debuted a new infrared camera system that monitors drivers and sounds an alert if they begin to nod off or are not watching the road closely. The Forester launched with five trim levels: base, Premium, a new Sport grade, Limited, and Touring. The Sport's suspension and steering settings are unchanged, but it has its own styling and a special "Sport Sharp" mode for its driveline that provides snappier throttle response. We miss the turbo engine, but only about 5 percent of the previous Forester left the factory with it. The standard 2.5-liter flat-4 provides adequate acceleration. More notable is the Forester's smooth, absorbent ride and luxury-grade silence. Since its launch in 1998, all Forester models have been tall wagons built on the underpinnings of the compact Impreza sedan and hatchback. As the Forester gained in volume and reputation over its first decade, it entirely replaced the five-door Impreza wagon once that compact-car line was redesigned for 2008. The first-generation Forester ran from 1998 through 2003, followed by a second generation that spanned model years 2004 to 2008. That second Forester was significantly restyled halfway through its life, with a new front end, tailgate, and rear lights added for the 2006 model year. The third generation was launched in 2009 and ran through 2013. Although it launched just as the recession arrived, the 2009 Forester shattered sales records by hitting just the right spot in the highly competitive compact crossover market. New buyers were lured to the brand by a sticker price that started just around $20,000, along with high perceived value, and Subaru's standard all-wheel drive. For the third generation, the Forester 2.5X model produced 170 hp from its 2.5-liter engine, with either a 5-speed manual gearbox or an old 4-speed automatic transmission. The 2.5XT turbo version, a significant upgrade, boosted power output to 224 hp. 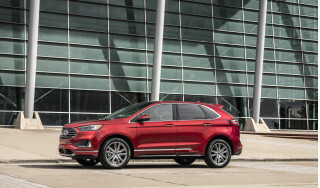 Base models were practical but spartan, though a lengthy list of trim levels and options was offered that easily pushed the price past the $30,000 mark. Those features included a navigation system, along with leather upholstery, a 10-way powered and heated driver's seat, and a moonroof. The Forester was most recently redesigned for the 2014 model year, when it was named The Car Connection's Best Car To Buy. There were few changes for 2015, but the next year, the Forester adopted Subaru's new infotainment system, with a bigger, cleaner touchscreen. There were more changes for 2017. On the outside, the front fascia and headlights and taillights are tweaked. Inside, Subaru offers a new Saddle Brown leather upholstery, as well as several measures to reduce interior noise. 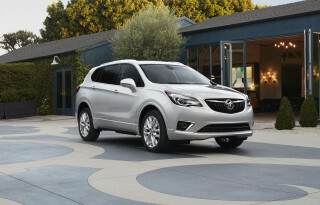 The base engine gets slightly better fuel economy CVT, and the all-wheel-drive system adds available torque vectoring. Most importantly, Subaru adds and improves several safety features. The EyeSight system gets color cameras with wider and longer range, and newly available are automatic high-beam assist, steering-linked headlights that point into turns, and reverse automatic braking. Upgrades continued in 2018, with automatic high-beam headlights and reverse automatic braking added to all Foresters fitted with the EyeSight system. EyeSight is now standard on the Touring trim level, while the 2.0XT Touring gets active torque vectoring as standard. 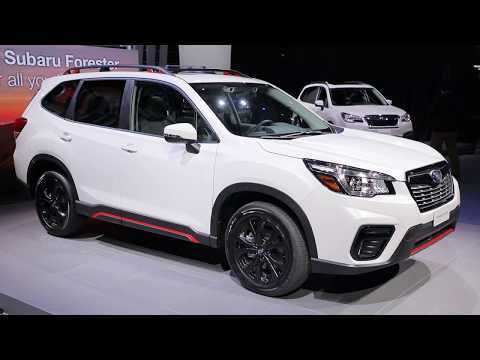 Finally, for was the last model year before a redesign, Subaru has added a new 2.5i Forester Black Edition trim package as an upgrade to the Premium trim, with black paint, wheels, and trim accents. Subaru took the fourth-generation Forester mainstream to some degree in the current generation, though it has kept the overall package about the same size as the 2013 model. Still, it manages to offer more rear-seat and cargo space, improved infotainment, and a sportier exterior. In our initial drive of the current generation Subaru Forester—as well as subsequent experiences including a six-month road test of the 2014 Forester—we found it to be roomier and more refined than ever, yet still surprisingly rugged. The Forester offers a choice of two powertrains: a 170-hp, 2.5-liter flat-4 for the 2.5i, and a turbocharged 2.0-liter direct-injected flat-4 making 250 hp in the 2.0XT. Subaru's CVT offers a special Sport manual mode on the XT model that simulates six or eight "gears," depending on the setting. The less expensive trim levels with the naturally aspirated engine are still available with a 6-speed manual transmission. 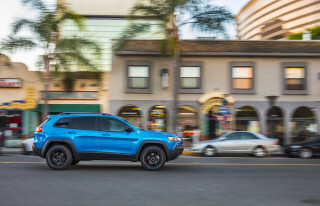 EPA fuel economy ratings are as high as 28 mpg combined, which is up 1 mpg this year, and that's quite respectable for a tall crossover vehicle with standard all-wheel drive. The current Forester made safety news when it was the first "Small SUV" to earn the highest rating rating in the IIHS's small overlap frontal crash test. 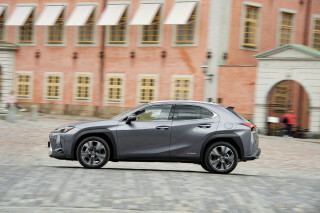 It also receives the Top Safety Pick+ stamp of approval from the IIHS. The NHTSA gives the Forester five stars overall, with four stars in the rollover and frontal crash categories. 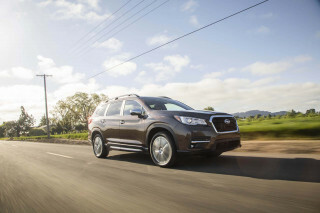 The Forester has also inherited Subaru's camera-based EyeSight active-safety tech package, which enables adaptive cruise control, lane-departure warning, forward collision warning with automatic emergency braking, and other features. At long last, for the 2013 model year, Bluetooth hands-free phone connectivity and audio streaming became standard, along with a USB port and iPod capability. Steering-wheel audio controls were made standard as well, and a new Value Package bundled the popular All-Weather Package (heated seats and mirrors, plus wiper de-icer) with a display audio system and fog lights. I love my new Forester. I find the seats and cabin space very comfortable. Takes bumps very smooth like a caddy, yet handles on a dime. Very airy and spacious inside. Great visibility with its massive windows... I love my new Forester. I find the seats and cabin space very comfortable. Takes bumps very smooth like a caddy, yet handles on a dime. Very airy and spacious inside. Great visibility with its massive windows, which also makes the cabin very ambient. The power from the 2.5 is very good. I find it gets up and moves as quick as one would need. The CVT transmission is very smooth. I have not found any weird lags upon acceleration. It feels very good and refined. The cabin noise is low on the highway (something I believe fixed in 2017 and up models). Steering is very precise and easy to drive, yet doesn't feel loose and floaty. Feels secure and overall fun to drive. Handles well. Good gas mileage. Easy to drive. Passengers said back was comfortable. A pleasure to get in and out of. Lots of space in the rear.